This bodyboard bag from Gul is ideal for transporting either 1 or 2 bodyboards, up to 42" long, minimising the damage in transit. For ease of carrying this bodyboard bag has a padded handle and padded shoulder straps. Features include water drainage at the bottom, Waterproof Inner Lining and Poly PVC Outer Shell. Internal wax or key pocket. The bag also has a front pocket with mesh at the bottom to hold fins, wetsuits etc. The Gul Arica Bodyboard bag comes in a black and red. The bag is designed to keep your boards scuff-free during transportation. It is made from ultra-durable 600D polyester with a PVC outer shell. The Bodyboard Bag repels light and heat from the sun, safeguarding your board from melting wax and any delaminating damage that may result as a case of excess heat exposure. The case also has protective PE tarp waterproof inner lining, making it a damp and damage free storage aid. The bag is designed with comfort in mind, as it comes with fitted rucksack straps. It also comes complete with a large front pocket to store surf wax, a wetsuit and other surf essentials. 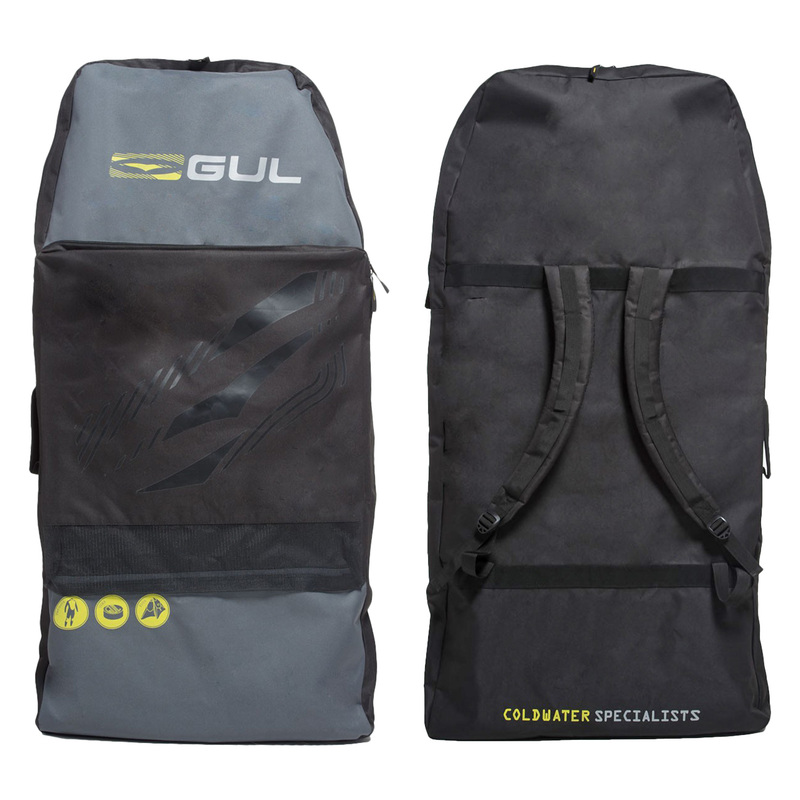 Unlike many bodyboard bags the Gul Bodyboard bag has enough room to store 2 (two!) boards, making it a great accessory for going down to the beach with a friend.